ARRA News Service: Mumbai photographer: I wish I'd had a gun, not a camera! Mumbai photographer: I wish I'd had a gun, not a camera! by Jerome Taylor: It is the photograph that has dominated the world's front pages, casting an astonishing light on the fresh-faced killers who brought terror to the heart of India's most vibrant city. Now it can be revealed how the astonishing picture came to be taken by a newspaper photographer who hid inside a train carriage as gunfire erupted all around him. . . . But what angered Mr D'Souza almost as much were the masses of armed police hiding in the area who simply refused to shoot back. "There were armed policemen hiding all around the station but none of them did anything," he said. "At one point, I ran up to them and told them to use their weapons. I said, 'Shoot them, they're sitting ducks!' but they just didn't shoot back." . . . 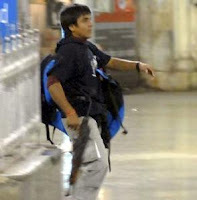 The militants returned inside the station and headed towards a rear exit towards Chowpatty Beach. Mr D'Souza added: "I told some policemen the gunmen had moved towards the rear of the station but they refused to follow them. What is the point if having policemen with guns if they refuse to use them? I only wish I had a gun rather than a camera." 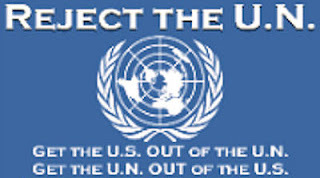 Tags: American Indian Health, guns, Mumbai, terrorist To share or post to your site, click on "Post Link". Please mention / link to the ARRA News Service. Thanks! Oh really then publish the photograps of those policeman at that time which are refused to shoot on terrorist and not follow them. Mr D'Souza give your complaint in mumbais police stations with your photograph proofs. Dont show that terrorist photograph & we indians wants to see your bravery in reality we send you in kashmir vally by giveing you a gun to fight against terrorist with AK56. Waiting for you.